We will reclaim rubbish and recycle material to create a totem symbolising our individual and collective innate powers. 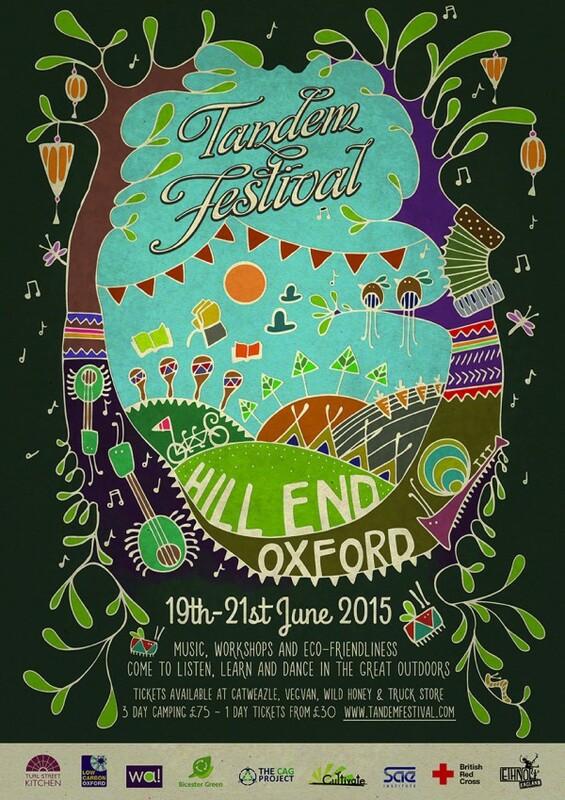 Come and visit us from 6-8pm on Friday 19th June and from 1-4pm on Saturday 20th June. The final take down will be on 21st June. Very Interesting blog by Johanna on her experience of working with the energy channels in the body (Shiatsu) and their phychological benefits. I was teaching a course at the Shambhala Shiatsu School in Vienna recently and Johanna Garnitschnig, who was assisting me, added a contribution of her connection with the Extraordinary Vessels, where she described their “inner landscape”. I liked the way she described them and invited her to write a piece about her experience of working with them. As well as being a shiatsu practitioner, Johanna is a clinical health psychologist and many of her clients come to her because of psychological issues. She has found that working with the Extraordinary Vessels, has become a central core of her work. 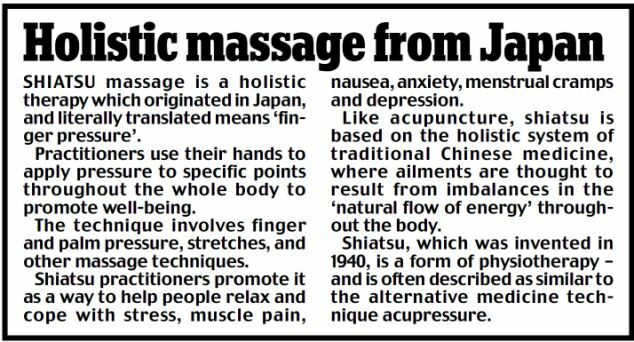 Try shiatsu, the holistic massage from Japan that heals stress, muscle pain, anxiety… and even menstrual cramps | Mail Online.